No special skills are required–only the desire and commitment to make a difference. Advocates must be at least 21 years old, have a flexible schedule and are asked for a minimum commitment of eighteen months in order to ensure stability and consistency for the children we serve. Because they will be working with children, CASA volunteers are required to pass a criminal background check, child abuse and FBI clearance. 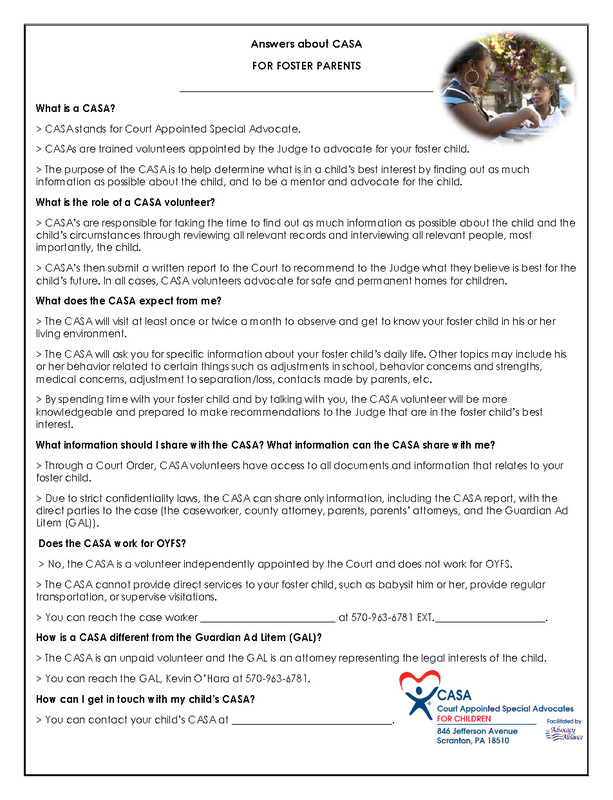 How does a CASA volunteer become involved in a case? 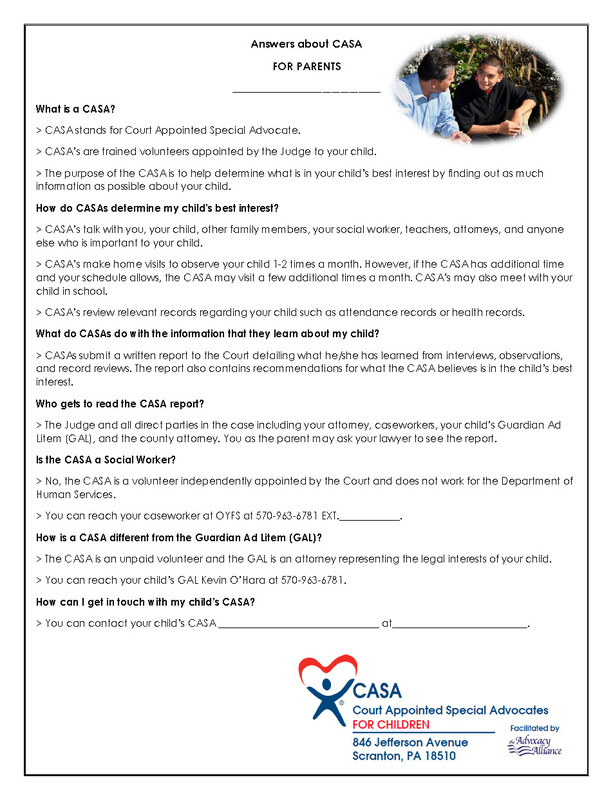 Anyone may request that a CASA be assigned to a case, including parties such as a Dependency Court Master, Office of Youth and Family Services caseworkers, supervisors, or solicitors, the Child’s and/or family’s attorney or other human service agencies. However, only a Family Court Judge can assign a CASA to a case. To what types of cases is a CASA volunteer assigned? A CASA volunteer is assigned to children already in the foster care system or to those at risk of entering foster care as a result of abuse, neglect and/or the parents’/guardians’ inability to care for the children. How old are the children involved? The children range in age from newborn up to age 21. What are the responsibilities of a CASA volunteer? A CASA is a mentor and an advocate for the best interest of a child in the child welfare system. CASA’s are responsible for taking the time to find out as much information as possible about the child and the child’s circumstances through reviewing all relevant records and interviewing all relevant people, most importantly, the child. 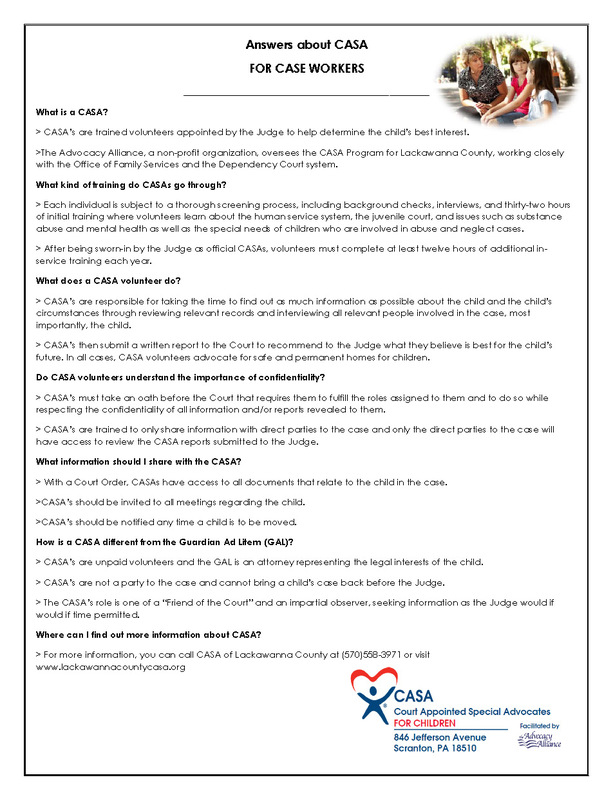 CASA’s then submit a written report to the Court to recommend to the Judge what they believe is best for the child. In all cases, CASA volunteers advocate for safe and permanent homes for children. Locally, yes. CASA volunteers make home visits and attend court hearings, as well as agency and school conferences. Can a CASA volunteer really make a difference? Research studies have shown that the introduction of just one caring adult in the life of an abused child can change the course of that child’s life forever. With CASA volunteers, children who have known only hurt, rejection and disappointment from adults learn to trust, hope and love. A CASA volunteer advocate makes a profound and positive difference for neglected and/or abused children. 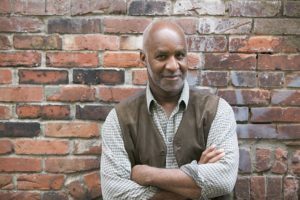 Do I need special training to be a CASA volunteer? Yes. The content of a CASA volunteer’s 30 hours of training and court observation are mandated by PA state law, National CASA, and the Advocacy Alliance. You will learn about the child welfare system, how to work with children involved in the system, and other important skills necessary to be an effective advocate. CASA volunteers can choose from a range of options to satisfy the 12 hours of additional training that are required annually.